ALL LANDON DORCH has ever wanted was to be like everyone else. But his deafness and the way he talks have been obstacles all his life. Other kids, and even adults, have never been able to look past his disability and see the real Landon. But now, he finally gets an opportunity to fit in. Bigger and taller than any other seventh grader in his new school, Landon plans to use his size to his advantage. 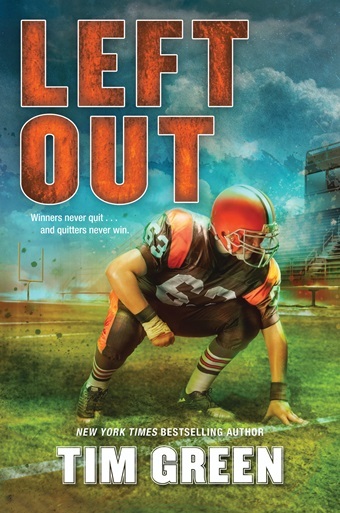 In Bronxville, football reigns supreme, and what could be better for a hopeful lineman desperate to gain friends beyond his fiery little sister? Still, the same speech problems and the cochlear implants that help him hear continue to haunt him. At best, his new teammates keep their distance, and when football proves harder than he thought, the coaches encourage Landon to be their oversize water boy. 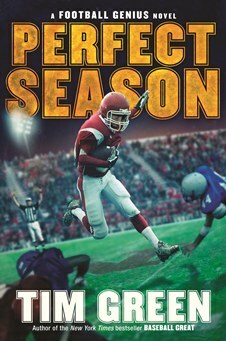 Just when it looks like Landon will be left out for good, Brett Bell—a star player whose family knows about being different—becomes an unlikely friend. And the whole Bell family pitches in to help Landon, even Brett’s uncle, a New York Giants All-Pro tackle who shares some of his trade secrets. 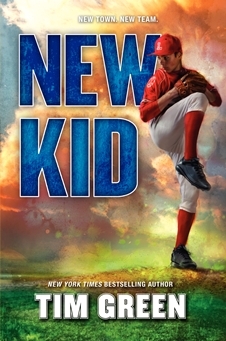 But in the end, only Landon can fight his way off the bench and through a crowded field of bullies bent on seeing him forever left out. 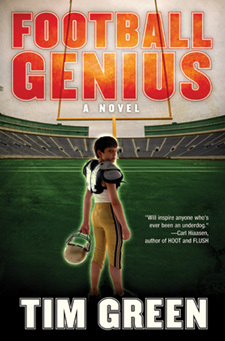 From former NFL player and New York Times bestselling author Tim Green comes an action-packed story about one boy’s journey to change how others see him—both on and off the field.